Donald Trump's list of speakers at the Republican National Convention this month is "totally filled," the presumptive GOP nominee said in a tweet Saturday morning. He promised to reveal his chosen representatives on Wednesday. 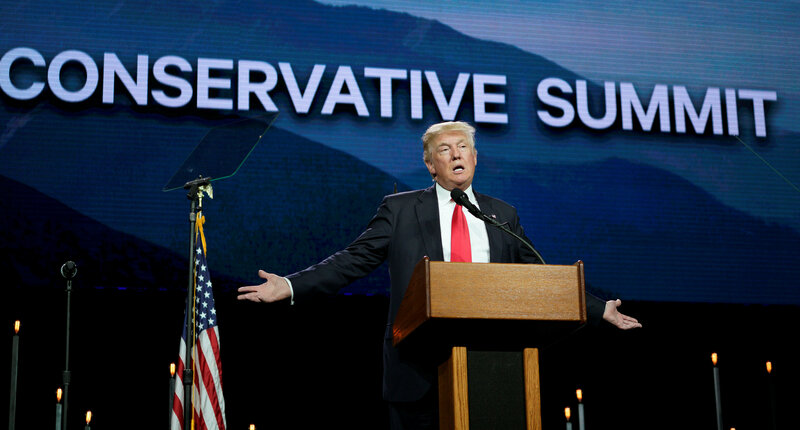 Trump previewed his convention lineup Friday while at Denver's Western Conservative Summit, telling conference attendees that it would include several members of his family. "My children are gonna be speaking at the convention," he said. "My children are all gonna be speaking. Ivanka, Tiffany, Don, Eric, they're gonna be speaking. My wife is gonna be speaking." Ben Carson -- now a Trump surrogate on the campaign trail after a short stint as the candidate's top rival during the GOP primary race -- is also slated to speak at the convention, according to top aide Armstrong Williams, who tweeted out the news Friday. The Trump campaign had previously indicated the presumptive nominee would round up a star-studded guest list for the convention, with media outlets reporting that sports celebrities like Mike Tyson, Mike Ditka and Bobby Knight would be speaking. But Trump denied in a tweet earlier this week that Tyson was ever asked to appear at the convention. Ditka, the legendary Chicago Bears coach, has since turned down Trump's invitation. The convention in Cleveland is scheduled to run July 18-21.